Back to WWII rationing once more! These cookies use no eggs, little sugar, and very little fat. 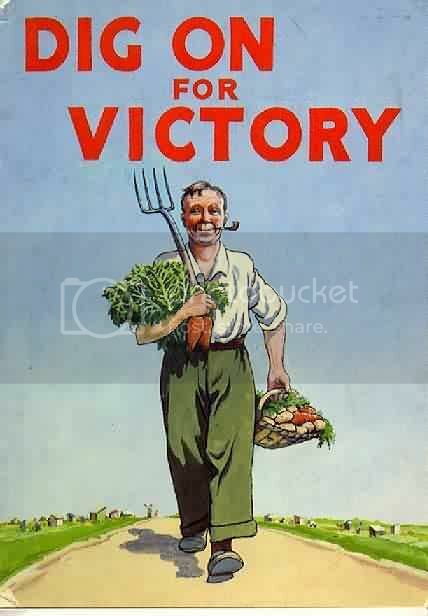 It also contains something which every patriotic citizen should have in abundance in their Victory garden: carrots. Did your mother ever tell you that carrots would help you see in the dark? It was a lie. But she may not have known that she was lying! During WWII, the British invented this rumor to cover up their development of radar technology from the Germans. "Carrots!" they said. "Our pilots just eat LOTS AND LOTS OF CARROTS." Method: Cream the fat and sugar together until it is light and fluffy. Beat in the flavouring and carrot. Fold in the flour or flour and baking powder. Drop spoonfuls of this mixture into small greased patty pans. Sprinkle the tops with sugar and bake in a brisk*** oven for about 20 minutes. Verdict: Okay, you see that spoonful of dough up there? Go ahead, scroll back and look. That is ALL the batter. That's it. This recipe only makes about 12 walnut-sized cookies. But what do you expect? There's a war on, gosh! I didn't anticipate that these would be very good. But they are! Pleasantly crispy, pastry-like outside; tender, cakey inside. And such a beautiful color! Perfect for Halloween. They don't taste particularly of carrot, I think the carrot is just to stretch the flour and stand in for some of the sweetening. It tastes kind of like a interesting, pleasant sugar cookie. Five minutes after they came out of the oven, I had eaten them all. Don't be a Judging McJudgerton, Husband was gone! *I'm just foolin', I love carrots! Thanks, guys! **Hey! Where's your insistence that cookies are called biscuits now, huh? Gotcha! ***About 375 degrees F. will do. "See! I told you so about the carrots! And man....not so sure about those "cookies"." I challenge you to make them! If anyone can monkey with them to make them fantastic, I feel certain it is you. Perfect recipe for one! Of course back then, if you had 12 people in the household, you only got one. Not if, like any experienced sibling, you were in possession of an "I licked this" sign! I tried these out and thoroughly enjoyed eating them! I will definitely make them again. Really liked these cookies and did not at all question the carrots!